What’s agreed is that change is inevitable. That we’re faced with change practically every moment. Time ticks forward by the second. So it’s up to us to maximize this time and change it to our benefit. Our life is in a constant state of change, facing new opportunities. Our daily routine is full of change. Although by habit, we take the same route to work everyday, but the weather conditions are different, different cars, viewpoints, opinions, and our mood will always be different. Our bodies will feel bloated or full of energy. Change is the one common denominator which is usually out of our hands, the violence and the drama of the outside world that we can’t control, so we need to condition how we feel and react to these changes the best way we can. The biggest fear that some have is change, but it’s a constantly moving target, a natural process, so why do people resist and stress about it so vehemently. It’s usually because of the anxiety that they’re not up to the challenge of handling that change. The populace has been challenged or forced to adapt for generations, while developing new skills to respond to all the new circumstances. Baby boomers who grew up in a time when social media didn’t exist, are now ardent devotees of it. So hang on as change is going to happen. It’s the one fact of life that’s for certain, so understand and gauge your reaction by making the best possible choice. Learn how to manage this change, which is the difference between you capitalizing on an opportunity, or spending the time fretting that you missed your chance. Accept change as a natural act. Recognize it rather than avoiding or resisting it, while being objective about what’s happening or about to happen. Oftentimes, it’s what we don’t anticipate is what makes us feel apprehensive, and therefore not understand it. So be prepared by doing your homework, gather information, and remove all the uncertainty. 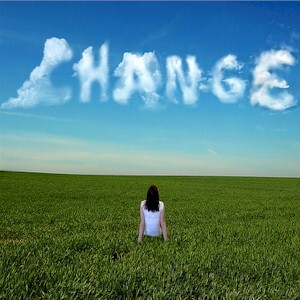 Once change suddenly appears, you might feel helpless and think there’s little you can control. What change is capable of doing is sabotaging your rational thinking and cloud your reasoning, leaving you confused on what you can or can’t do. Every situation, we have some degree of control, this regardless of the circumstances. There’s always at least one variable that we can control, which is usually fight or flight. It’s our readiness and attitude that matters as every change is different, and often, there will be more areas that you can control than you realize. Regardless, it’s important to remain calm and be prepared by collecting and identifying all the elements of the change that you can control. What knowing these variables does is helps you in focusing your efforts on what you can do, what can be done, this instead of wasting energy on something that you can’t change, this regardless of how hard you try. Realize that change is a process and not an event. The bigger that the change is, the more adjustments that are needed. At times, there will be plenty of areas which needs attention, which may daunt or discourage you. So to avoid feeling overwhelmed by constant change, attempt to break it down into workable stages or steps, and then tackle them one at a time. By starting and completing one step after another, you’ll then feel more in control while seeing the actual progress that you’re making, while successfully adapting to this change. What you never want is to make rash decisions that you might regret later. Staying patient and mindful becomes essential when undergoing any change. Being aware helps you in coping with any potential anxiety while preventing disappointment and frustration, as you know what to expect. Once you manage to prioritize better, while not dwelling on trivial details, you’ll be able to conserve enough wits to carry you through the entire process, and not just the initial stages. Lose the woe is me, “I’m cursed” victim card mindset while keeping your motivation going forward. Adopt the “I can do this” mentality, which will help you manage change better. What constant negative thinking, which is the default setting in our brains, makes you feel helpless and more insecure than you already are, so you need to fight through it. Remember what you’re capable of, the similar things that you’ve accomplished in the past, and don’t allow unexpected or unpleasant developments to bring you down. Attempting to cope with change alone can often be too difficult for many. There’s the feeling that others don’t understand or care what you’re going through. The mystery is also you have no idea what anyone else is going though either. So why not share certain challenges with those close to you, to compare notes. Just talking to someone can help or spring new opportunities, get different ideas and good advice. If nothing else, you can vent your frustrations with each other. What any type of major change does is rocks our boat, offsets the center of our personal universe. They then dominate our thoughts while discarding the importance of other things, and narrows our thoughts just to that challenge. Once this happens, you fail to appreciate all the other aspects of your life by putting them on hold, while attempting to deal with that one particular change. So stay in focus on the overall picture of your entire life, and don’t allow just one event to dominate or distract, this by reinstating stability into your life.